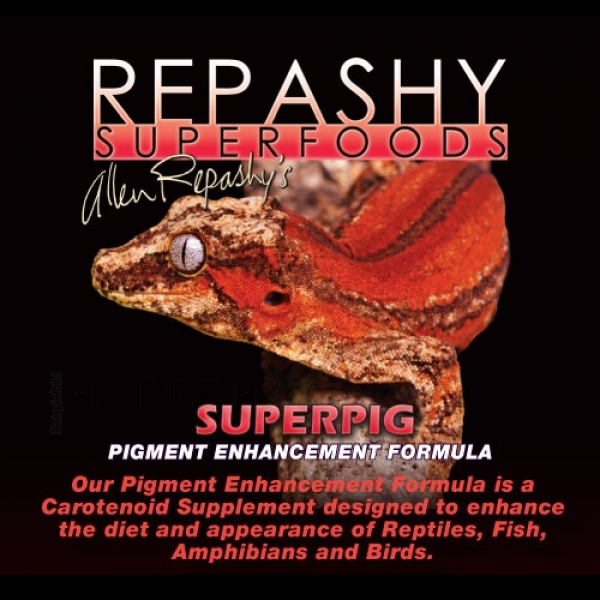 Our Pigment Enhancement Formula is a Carotenoid Supplement designed to enhance the diet of Reptiles, Fish, Amphibians and Birds. INFORMATION: Contains a “broad spectrum” of Carotenoids including, but not limited to: Astaxanthin, Capsanthin, Capsorubin, Beta-Carotene, Alpha Carotene, Beta Cryptoxanthin, Zeaxanthin, Neoaxanthin, Cucurbitaxanthin, Violaxanthin, Lutein, Echineone, Canthaxanthin and Lycopene. INGREDIENTS: Calendula Flower, Pfaffia Yeast, Paprika, Marigold Flower, Algae Meal (Chlorella), RoseHips, Hibiscus Flower, Turmeric. Guaranteed Analysis: Crude Protein min. 6%, Crude Fat min. 1%, Crude Fiber max. 10%, Moisture max. 8%, Ash max. 8%. DIRECTIONS: Mix into complete feeds at up to a 4% (dry weight basis) inclusion level (providing 50 ppm astaxanthin).